WHITE hot iron. Red hot steel. It will be a potent cocktail ion of industry, work-rate, intensity and passion that gets Boro promoted this season. 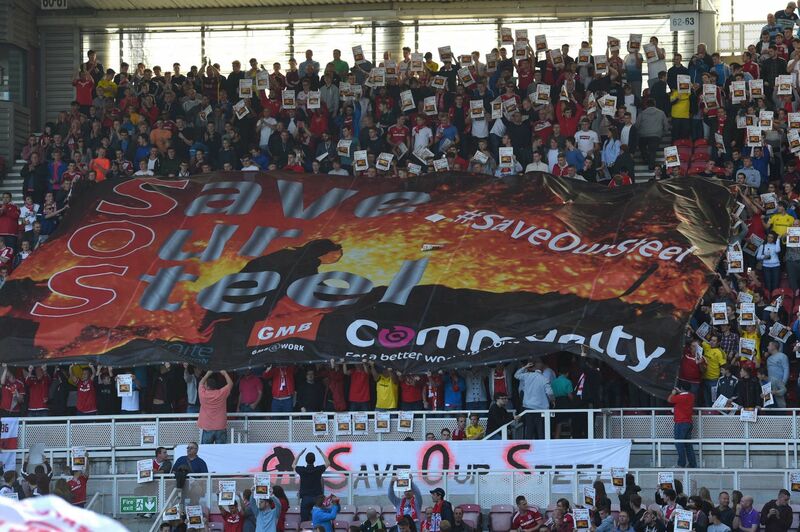 On the day that the Riverside Stadium staged a show of popular support for the “save Our Steel” campaign, Aitor Karanka’s side combined to deliver exactly the kind of productivity and relentless, mechanical energy that made Teesside a global powerhouse. SIX shooting Boro gunned down Wolves to seal a sizzling sextet of successive wins. The 3-0 routine Riverside win wasn’t the most entertaining game. For long spells in the first half it was workmanlike and functional and the normally well oiled machine spluttered like an Austin Allegro on a cold winter morning but the first goal swung the game decisively and eventually a Boro side with seven changes got the job done. It was a win with the minimum of fuss against a well organised and industrious if shot-shy side. It was effective rather than expansive. Professional rather than pulsating. And it won’t take up much space on the end of season highlights DVD. But they rattled up a string of positives and are in the hat for the fourth round draw. Boro took an historic axe to Forest. That’s an “I was there” moment. If the club;’s marketing department have anything about them they ‘ll rush out a commemorative t-shirt. “I’ve seen Boro win at Forest. ” Not many people have been able to say that since decimalisation. ALBERT Adomah was red hot as he came back in from the cold on a night marked by a classy brace, a public embrace and Boro in second place. 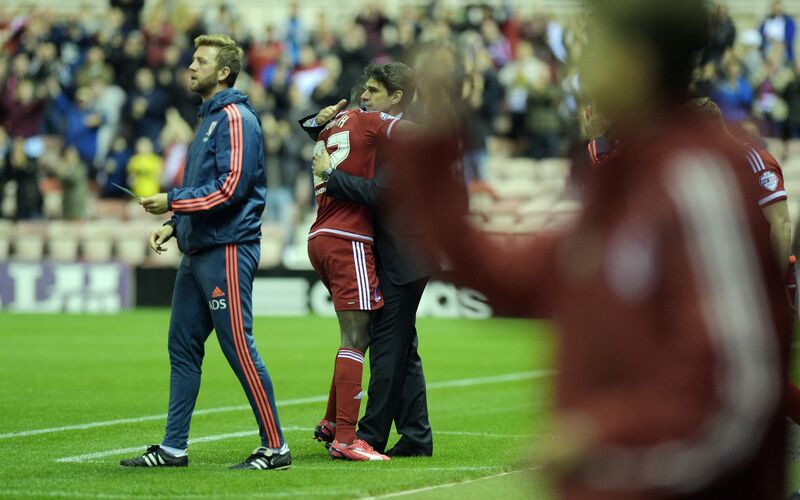 The recently “wantaway” winger bounced back from the naughty step with a bang as he claimed an assist and a goal in a rousing Riverside return and it was hugs all round as Albert and Aitor kissed and made up in a hard-fought 3-1 win over battling Brentford. WE are going to have to learn to be patient. There were some audible groans of frustration at the Riverside as the frustrating first half fizzled out into a turgid low-tempo grind. And on the interval whistle there was a short-lived smattering of scornful booing. Now, that is understandable. Boro have raised the bar this term and have spent a lot of money on proven quality top flight and international players with the avowed intention of being more potent and with that comes heightened expectations – especially when playing against the sides viewed as Championship cannon-fodder. JULIO Arca has joined South Shields to fill his Saturday football vacuum with the delights of the Northern League. The former Boro midfielder, now 34, has kept himself fit after hanging up his boots by paying his £3.50 a week subs and playing with his mates at Willow Pond FC in the second division of the Wearside Sunday League. Now the likeable Argentine aims to step up a gear and “still do a job” in the Northern League second division with South Shields and could make his Mariners debut on Saturday at home to Stokesley. It will be his first game in English’s football’s pyramid since he bowed out at Boro in a 3-1 Capital One Cup win at Preston in September 2012. A persistent toe injury ended his professional career after 185 appearances and nine goals for Boro in six seasons following a £2.5m switch from Sunderland. But he isn’t the only former first teamer to step down from playing pro to turn out in the Northern League. It used to be a time honoured route for Boro stars to wind down their careers in the Northern League after a season or so at Darlington or Hartlepool. WELL, that was a long night on radar watch and ringing up various national air traffic control centres demanding updates of all Transatlantic flights leaving Latin America. Bleary-eyed but lets do this….